Growing Your Own Salad Garden. Grow everything for your delicious spring salad right in your own backyard including lettuce, spinach, kale, and a variety of vegetables! Learn how to select the right crop for the season, start your own seedlings, and plant for a continuous harvest of fresh produce for your salad. Fee: $50. Early Bird Special $39 (Register before 1/19 for this rate). Supplies: A $7 materials fee will be collected in class for handouts and course materials. Location: San Elijo Campus, Room 406 Time: 1 Saturday, 1/26, 9–11 a.m.
Pattern Making and Sewing. All experience levels are welcome. Make perfect fitting patterns for bodice, sleeves, skirts, and pants! Learn the art of taking measurements, pattern drafting (using templates in your size provided by the instructor), fitting, grading, and sewing of the test garment. Enjoy learning how design can showcase your unique, beautiful body shape. Fee: $110. Early Bird Special $90 (Register before 1/26 for this rate). Supplies: Sewing machines are not required for this class nor are they available for use. Bring a sack lunch. A materials list will be included with your student confirmation upon registration. Location: Oceanside Campus, Room 4529 Time: 4 Saturdays, 2/2–3/2, 9:30 a.m.–2:30 p.m. No class on 2/16. Drawing Animals. All experience levels are welcome, especially the enthusiastic beginner! Let’s draw animals—from decoratively filled silhouettes to realistic head studies and expressive gesture drawings. Learn to render eyes, fur, and feathers using pencil media, watercolor pencils, and pen and ink. Working from photos, lessons will include freehand methods and the realistic artist’s use of tools, such as grids and proportional dividers. Fee: $115 Supplies: A $3 materials fee will be collected in class. A materials list will be sent by the instructor prior to the start of class. Location: San Elijo Campus, Room 406 Time: 6 Saturdays, 2/2–3/16, 9 a.m.–12:30 p.m. No class on 2/16. NEW—Fun with Heads and Faces. All experience levels are welcome. Having fun drawing someone’s face is the definition of caricaturing. It’s the process of exaggerating the likeness of a person. But, a good caricature must capture more than just a likeness; it must also capture the personality and essence of the person. In many ways, a good caricature can be more recognizable than a plain, traditional portrait. You will be shown how to do this (many demo’s) in this class! Fee: $115. Early Bird Special $105 (Register before 1/26). Supplies: A $3 materials fee will be collected in class. A materials list will be included with your student confirmation upon registration. Location: San Elijo Campus, Room 206 Time: 6 Saturdays, 2/2–3/16, 1–4 p.m. No class on 2/16. Learn to Draw Fabulous Figures Without a Model. All experience levels are welcome. Learn Michelangelo’s secrets of anatomy and his original technique in this fast, fun, and informative class. You will learn to simplify the form and basic anatomy from a long-time professional artist. Learn how to draw the human figure easily, without having to use a model. Fee: $115. Early Bird Special $105 (Register before 1/27). Supplies: A $3 materials fee will be collected in class. A materials list will be included with your student confirmation upon registration. Location: San Elijo Campus, Room 206 Time: 6 Saturdays, 2/2–3/16, 9 a.m.–12 p.m. No class on 2/16. NEW—Watercolor and Words. All experience levels are welcome. Use words in your watercolor paintings is a subtle, stylish way to add interest and communicate with your viewers. In this workshop, you will learn methods for arranging words and choosing fonts that will enhance your paintings through hand lettering, brush lettering and faux French pen calligraphy writing. Fee: $105. Early Bird Special $99 (Register before 1/26 for this rate). Supplies: A $5 materials fee will be collected in class for pens, colored inks and handouts. A materials list will be sent by the instructor prior to the start of class. Location: San Elijo Campus, Room 205 Time: 5 Saturdays, 2/2–3/9, 1–4 p.m. No class on 2/16. Internet Registration—Go to miracosta.augusoft.net to register online. By Phone: 760.795.6820—Please have your Visa, MasterCard, or Discover card in hand and your registration information ready when you call. In Person—Community Education & Workforce Development Office, MiraCosta College Technology Career Institute, 2075 Las Palmas Drive, Carlsbad, CA 92011. Hours: 9 a.m.–5 p.m., Monday–Friday. By Mail—Complete the registration form using a separate form for each person (forms may be duplicated.) 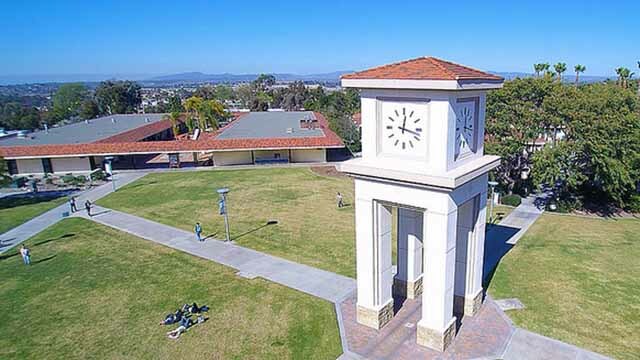 Visa, MasterCard, Discover card or check payable to MiraCosta College) can be used to pay registration fees. If you would like a confirmation, enclose a self-addressed, stamped envelope. Mail checks and completed registration form(s) to: Community Education & Workforce Development, MiraCosta College Technology Career Institute, 2075 Las Palmas Drive, Carlsbad, CA 92011.